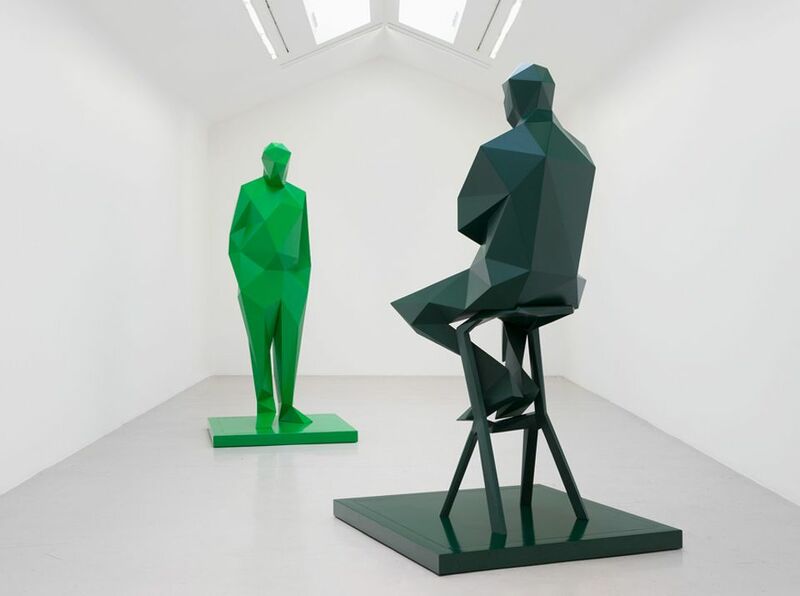 The French artist Xavier Veilhan has created sculptures of the architects Renzo Piano and Richard Rogers that will be permanently installed next month in Place Edmond Michelet outside the Centre Pompidou in Paris. The pair designed the distinctive museum, which opened in 1977. The sculptures are currently on show in an exhibition of Veilhan’s works at Galerie Perrotin in Paris (until 23 September). “The works are constructed in stainless steel and painted in tones of green, colours that recall the colour code of the [Pompidou] building,” a gallery spokesman says. The statues, which are 8.5ft tall, will be erected on pedestals and officially inaugurated during Fiac art fair week next month. “Galerie Perrotin and Groupe Beaumarly—the owners of Café Beaubourg [located next to the Centre Pompidou]—have financed this project; the two sculptures will be donated to the Musée National d’Art Moderne at the Centre Pompidou,” a museum spokesman says. Veilhan, who is representing France at this year’s Venice Biennale, says in a statement: “I particularly love the Centre Pompidou, which inaugurated a new type of museum through [its] masterful building. I celebrated its creators in the Gallery of the Architects during my exhibition at the Château de Versailles [in 2009], but Renzo Piano and Richard Rogers also needed to be present in front of their most emblematic realisation." In 1971, Piano and Rogers submitted their Centre Pompidou design to an architectural competition set up by the French government (together with Gianfranco Franchini and the engineers Ove Arup). Their radical proposal centred on “the construction of a building for information, fun and culture, a sort of machine, an ‘informative tool’”.